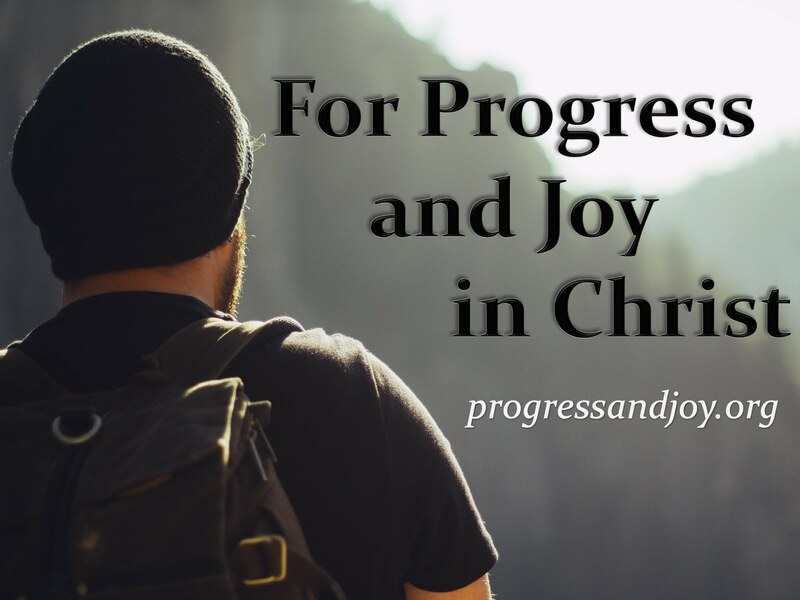 Progress and Joy: Luke 9:51-56 Lord, Do You Want Us to Command Fire to Come Down? Luke 9:51-56 Lord, Do You Want Us to Command Fire to Come Down? As Christians we walk a fine line between spiritual realities that we have found by faith in Jesus Christ and the physical realities of this present age. In John C17 Jesus is praying for His disciples and I believe He was praying for all His future disciples including us. In one place He says, “I do not pray that You should take them out of the world, but that You should keep them from the evil one. They are not of the world, just as I am not of the world. Sanctify them by Your truth. Your word is truth. As You sent Me into the world, I also have sent them into the world. And for their sakes I sanctify Myself, that they also may be sanctified by the truth.” Christ said that He sends His disciples “into” the world, but that they are not “of” the world. This is a key Christian principle to which the Apostle Peter also writes and calls Christians “sojourners” and “pilgrims” in 1 Peter C2. When we become committed believers in Jesus Christ we remain in the world and, though many would think that we should then hide in a corner, we are told to interact with the world that we live in. How else will others be saved by the name of Jesus if people like us are not telling them the good news of salvation? Not only do we interact with this world by evangelizing, but we also interact with the world in many other ways. We live here, work here, go to school here, eat here, shop here, and the list goes on. Our home is being prepared in a heavenly place, yet we are here for the present time. I would like to continue the conversation that I began Wednesday concerning national events. I do not do a good job of keeping up with local or national news, but the important stuff always makes it to me. I recently heard about and then did some reading on the issue of the church burning Qurans in Florida. As small as that church is it is causing a disturbance all over the world which tells us that there are grave consequences for our actions. Do we want other religions to spread? Certainly not. Do we want non-Biblical political agendas to dominate? Certainly not. So what course of action should we take when we face opposition from non-believers? This is of utmost importance at a time like this. What does the Bible say concerning this subject? Just as we have opposition in our spiritual lives, daily ministries, and in general from around the world so also did our Lord while walking the long dusty roads of Israel. His inaugurator, John the Baptizer, was murdered, the Pharisees and Scribes were breathing down His neck from the onset of His ministry, and He was ultimately murdered at the hands of the Jewish ruling elite. And everywhere in between Jesus was frequently opposed. There is a specific text that will serve as an example of one of those times of opposition and will help us greatly with our current situation. In Luke C9 we find a brief account illustrating for us how Jesus and His disciples dealt with opposition. Let us take note of how our Lord handles opposition. Background: Jesus sets out for Jerusalem because the time had come for Him to be “received up” meaing His crucifixion, resurrection, and ultimately His ascension. He sends messengers ahead of Him to prepare for His arrival in the area. It was necessary to send them ahead of the group because these small villages of about 40-50 people would not necessarily be able to accomodate Jesus and His disciples. It doesn't matter whether this opposition was because of Samaritans hatred for Jews or whether it is a more personal rejection of Jesus as the Messiah. What matters is that Jesus is already being rejected on His way to the cross. Then the focus shifts to the disciple’s response to this opposition, specifically the response of James and John. 1. Elijah called down fire to consume two units of troops sent against him by King Ahaziah of Samaria in 2 Kings 1:1-17. 2. Elijah also called down fire to consume a sacrifice when competing with the priests of the false god Baal on Mt. Carmel in 1 Kings 18:38. What can we say of this response? James and John, the Sons of Thunder, were utterly and miserably wrong. Their response was non-loving, non-merciful, and imperfect to say the least. What is of greatest significance is Jesus’ response to this opposition and His reaction to the disciples. Point 2: Jesus’ Reaction to Opposition: He Rebuked ThemOnce again Christ displays for us a life of humility and peace. Instead of rebuking the unhospitable Samaritans, He rebukes His disciples who should have known better. Why did Jesus rebuke James/John? Mainly because His Face was Set for Jerusalem. Jesus came the first time to save men’s souls. He was on a life-giving mission, not a life-destroying mission. He simply rebuked the disciples and went to the next village. Even today we are under this age that Jesus introduced. What is it the Apostle says in Romans? You are not under law, but under grace. Now is a time for salvation. Jesus left the door open for the Samaritans because it was not the time to condemn: Since Jesus did not allow the disciples to react the way that they planned it left the door open for Samaritans to come to faith in Christ and receive salvation. In Acts C8 Philip went down to Samaria and preached Christ to them and multitudes listened to what he had to say and there was great joy. Jesus did not have a sensitive trigger finger did He? There is no doubt- Jesus practiced what He preached and showed His divine nature by being slow to anger. As long as you are alive, there's a chance. Though the Samaritans were not repentant or inviting, Jesus was still going to Jerusalem to atone for sin, and He was going to be patient with them just as He's patient with you, as He's patient with me, and as He was patient with His own disciples, James and John. He is patient with us. What that means is that as long as we are breathing, it's not yet time for condemnation. Once somebody dies, there is fire from heaven. Hebrews 9:27 says, "it is appointed once for a man to die, then judgment." When you die it’s over, but as long as you're alive salvation is available. There's still the invitation to salvation by turning to Jesus Christ. One major phrase that should be given some attention is that Jesus’ face was set for Jerusalem. This phrase drives the entire context and should drive our lives. Another pastor has said, “The answer of the whole New Testament is this: the surprise about Jesus the Messiah is that He came to live a life of sacrificial, dying service before He comes a second time to reign in glory. And the surprise about discipleship is that it demands a life of sacrificial, dying service before we can reign with Christ in glory. What James and John had to learn—what we all must learn—is that Jesus' journey to Jerusalem is our journey, and if He set His face to go there and die, we must set our face to die with Him.” His face was set for Jerusalem because that is where He was going to fulfill His Messianic obligations (Matt 16:21). The first account after this decision is opposition. Jesus did not send fire, judge, condemn, put on a t-shirt that said Samaritans are evil, or any of the like. Jesus continued on despite opposition. He had no time to stop and deal with these unrepentant people. He had single-minded devotion to the Father’s plan for Him. Now the question is- do we have single-minded devotion to the Father’s plan for us? Is Fort Trial Christian Church focused on the mission? Is your family focused on the mission? Are you focused on the mission? The Father’s plan and mission for us is a life of sacrificial love for others. Conclusion: It has been said that "There is no passage in which Jesus so directly teaches the duty of tolerance as in this." We know “that our Christian warfare—our invisible struggle with sin, deception and false gods—is not according to the flesh. Rather, it involves humble acts like prayer and friendship evangelism.” It requires that we move ahead despite opposition, but leave the door open for repentance/salvation to those who presently supress the grace of God. One fantastic Christian brother said many years ago, “Even if a man be utterly mistaken we must never regard him as an enemy to be destroyed, but as a strayed friend to be recovered by love." It can’t be said much better than that. Peter gives us words that are fitting as a conclusion. In 1 Peter 2 we are told to have our conduct honorable among outsiders, that when they speak against us as evildoers, they may, by our good works which they observe, glorify God in the day of visitation. May people see our good works and glorify our Father in heaven! (Not see us wear shirts that condemn others, not see us launch out with violence toward those who have differing world views, not condemn others, but that they may see our GOOD WORKS).